On the eve of a pivotal election, Iran’s theocratic regime faces one of its most striking challenges from the grandchildren of Ayatollah Ruhollah Khomeini, the revolutionary leader who mobilized millions to end more than 2,500 years of dynastic rule. Seven of the 15 grandchildren have openly criticized the laws and the leadership since the mid-1990s. Two have publicly disapproved of election practices in the 2013 presidential poll. Four supported reformist candidates in the disputed 2009 presidential election. Iranians “consider us faithful custodians of the thoughts of the Imam Khomeini, and so we get upset with whoever wants to move our country and our revolution away from the path outlined by the founder of the Islamic Republic,” Ali Eshraghi, a grandson, told the Italian Adnkronos International news agency in 2008. Eshraghi is an advocate of major reforms who was once barred from running for parliament. Khomeini and his wife Batoul had five children. After his death in 1989, Khomeini’s daughter Zahra Mostafavi was the first family member to challenge the regime. In an open letter in May 2013, she urged the supreme leader to reverse the Guardian Council’s barring of former President Ali Hashemi Rafsanjani from running for president. She heads a party that advocates for women’s rights and increased political participation. The following is a rundown on the seven rebel grandchildren. 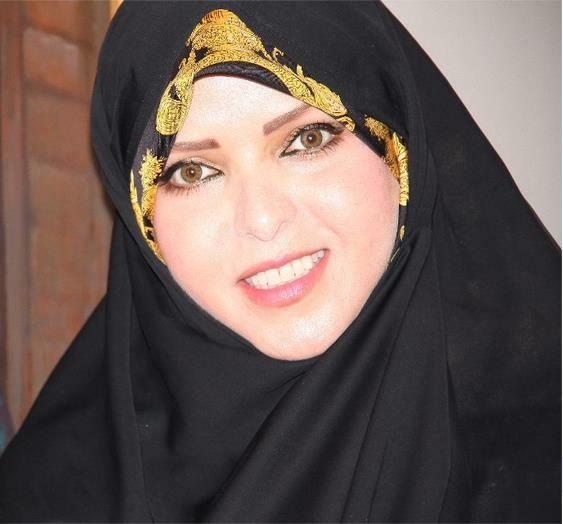 Born in 1964, Zahra Eshraghi has been an outspoken critic of discrimination against women. She was named after her rebellious aunt —Zahra Mostafavi Khomeini. Zahra and about 2,000 other reformist candidates were barred from running in the 2004 parliamentary elections. Zahra has claimed that discriminatory practices are embedded in Iran’s constitution. She reportedly signed the One Million Signatures petition, a project launched in 2006 to change discriminatory laws against women. Zahra has also opposed Iran’s mandatory dress code for women. Zahra’s husband, Reza Khatami, was deputy speaker of parliament from 2000 to 2004. 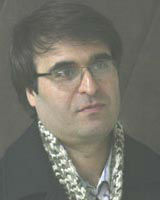 The younger brother of former President Mohammad Khatami was also secretary general of the reformist party Mosharekat. Zahra and her husband supported reformist candidate Mir Hossein Mousavi in the June 2009 presidential election. “Mousavi was one of the very few people trusted by my grandfather,” she claimed in an interview ten days before the election. Police briefly detained the couple on February 11, 2010 amid protests by the Green Movement on the anniversary of the 1979 revolution. The following are Zahra’s remarks on key issues. “Our constitution still says that the man is the boss and the woman is a loyal wife who sacrifices herself for her family. But society here has changed, especially in the last 10 years. If my grandfather were here now, I am sure he would have had very different ideas. Click here and here to view Zahra’s Facebook pages. Born in the mid-1960s, Naeimeh Eshraghi has contended that the regime has deviated from the Islamic revolution’s original goals. In remarks to Iranian website Tasnim, Naiemeh criticized the Guardian Council’s decision to bar Rafsanjani from running in the June 2013 presidential election. The petrochemical engineer has feared being jailed for her critical views. “I would not be different from many other prominent free thinkers of our country who have ended up being in jail,” she told The Telegraph in 2012. Naiemeh has reportedly claimed that her grandfather never called for a compulsory head covering for women. She supported campaigns against the mandatory dress code in 2011 and 2012. Naiemeh has argued that direct talks with the United States could be beneficial for both sides. She has objected to the regime’s Internet censorship. 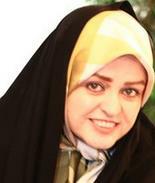 Naeimeh has been the most active Khomeini grandchild on Facebook, despite a government ban on the site. The following are Naiemeh’s remarks on key issues. Click here to view Naeimeh’s personal Facebook page and here to view Naeimeh’s Facebook fan page. 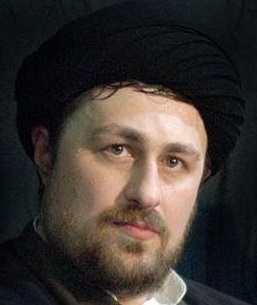 Born in 1967, Ali is Zahra and Naeimeh’s younger brother and the only other Khomeini grandchild who has attempted to run for parliament. The civil engineer tried to run in 2008 as part of a reformist coalition, but was not approved by the Guardian Council. “I do not agree with activities of barring candidates, but neither do I protest it, and I will not plead with them to change their decision,” he told the Associated Press in February 2008. Ali did not receive an explanation for his rejection. But he said his neighbors were asked whether he fasted and prayed. Ali was reinstated before the March election, but reportedly withdrew at the request of the Khomeini family. Ali has claimed that hardliners have deviated from the path outlined by his grandfather. And he has opposed military involvement in politics. The following are Ali’s remarks on key issues. “They attack us, and above all attack Hassan Khomeini, because they fail to remember that many are deviating from the path outlined by our grandfather… If today we are targeting certain political forces and certain politicians, it is really because people consider us faithful custodians of the thoughts of the imam Khomeini and so we get upset with whoever wants to move our country and our revolution away from the path outlined by the founder of the Islamic republic. Click here and here to view Ali’s Facebook pages. Hassan spent much of his childhood in the holy city of Qom in Iran. He also visited his grandfather in exile in Iraq and France in the 1970s. Hassan became a cleric in 1993 and then taught courses on Islam. In 1995, he was appointed as caretaker of Ayatollah Khomeini’s mausoleum in Qom, where Hassan’s father is also buried. He heads the Institute for the Compilation and Publication of Imam Khomeini’s Works, an organization that preserves the late leader’s original publications and achievements. Hassan kept a relatively low profile until 2002, when a university professor was sentenced to death for insulting Islam. Professor Hashem Aghajari argued that each generation should be able to interpret Islam on its own. Hassan reportedly protested the sentence with about 1,000 students in November 2002. Hassan has spoken out against military interference in politics. He also criticized the disqualification of nearly 2,000 candidates from running for parliament in 2008. Most of them were reformists, including Hassan’s cousin Ali Eshraghi.Hassan’s comments prompted a harsh reaction from conservatives, who accused him of corruption. Hassan reportedly supported reformist presidential candidate Mir Hossein Mousavi in 2009. Hassan reportedly went on a trip outside Iran before Ahmadinejad’s August 2009 inauguration ceremony. Conservative publications criticized Hassan’s move and interpreted his absence as opposition to the election results. In June 2010, Hassan spoke at a ceremony marking his grandfather’s death. But his speech was cut short by hardliners chanting “Death to Mousavi!” and shouting slogans in support of Iran’s current supreme leader. The incident may have been the first time a Khomeini family member had been insulted in a public venue. Links to Hassan’s Facebook page, Twitter feed, website and the Institute for the Compilation and Publication of Imam Khomeini’s Works. 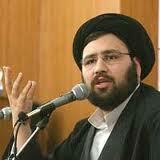 Yasser, a mid-ranking cleric, regularly attended reformist gatherings prior to the 2009 presidential election. Yasser supported reformist candidate Mehdi Karroubi, while his two brothers, Ali and Hassan Khomeini, supported Mousavi. Yasser visited Karroubi after his house was allegedly attacked by the Basij militia in September 2010. In early 2011, reformist leaders Karroubi and Mousavi were placed under house arrest. Yasser called their detention an “unacceptable measure.” He also expressed hope that the government would prudently deal with people based on the rule of law. 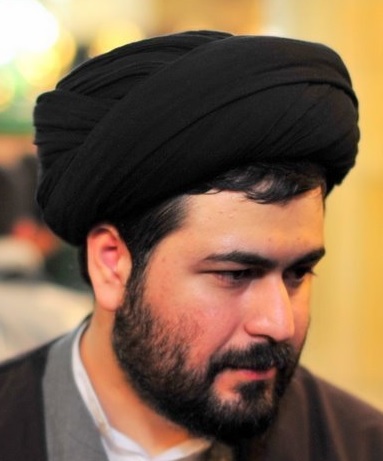 Ali, also a mid-ranking cleric, is married to the granddaughter of Iraqi cleric Ayatollah Ali Sistani—one of the world’s most influential Shiite clerics. The marriage brings together the families of two clerics from rival religious schools. Ali spent part of his childhood with his grandfather in exile. Ali first gained public attention at a young age, from a photo of him kissing his grandfather on the cheek. This photo was often disseminated to show the late supreme leader’s compassion for children and his family. Ali gave speeches throughout Iran and urged people to vote for Mir Hossein Mousavi before the 2009 presidential election. On the 20th anniversary of Ayatollah Khomeini’s death, Ali stressed, “the further we get from my grandfather’s ideas, the less legitimate the regime becomes”—just seven days before the June 12, 2009 presidential election. The cleric called for a referendum to decide how Iran should be governed in a 2003 BBC interview. He said that the early supporters of the 1979 Islamic Revolution had become a minority in Iran. Hossein claimed that if his grandfather were still alive, he would have opposed Iran’s leaders. Hossein temporarily moved to Karbala, Iraq after the 2003 U.S.-led invasion. He intended to press for democratic reform in Iran based on momentum from Iraq, according to an August 2003 interview with The New York Times. He also traveled to the United States and met with the former shah’s son. 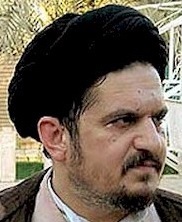 Hossein has supported U.S. or foreign intervention to liberate Iran from the “dictatorship of clerics.” “Freedom needs to come to Iran in any way possible, whether by internal development or external interference,” he said in a June 2006 interview with Al Arabiya for the 17th anniversary of his grandfather’s death. The following are Hossein’s remarks on key issues.